The technical cookies are compliant with Art. 122 – 1, Italy’s Law 196/2003, under the user’s consent. 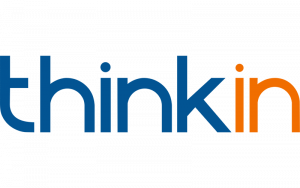 ThinkINside uses the so called “strictly necessary” cookie, and without them this website would not be fully accessible. These cookies are saved onto the user’s computer only during the browsing session. Beside of such use, these cookies facilitate the access from http to https when a page is clicked, in order to allow all the security data requirements transmitted. These essential cookies cannot be disabled when browsing the website. Also all the cookies used for statistical reports (called “analytics”) are technical cookies. These cookies are gathering aggregated data only, and they are not collecting profiling information for marketing use nor be able to reach the identity of the single user. These cookies can be deactivated and/or deleted through the browser settings. This website uses technical cookies only. Profiling cookies are not used.